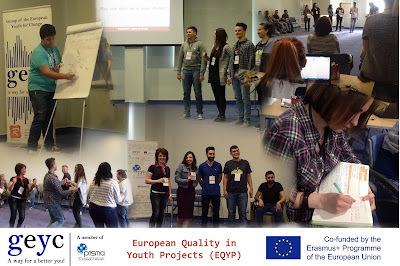 The first day of the EQYP project was full of activities which gave us the chance to meet the other participants, discover their characters and open the door to the EQYP project and the Erasmus+ Programme. We started the day with playing different active games which helped us to get to know the participants and which made us get closer to them. Our next activity was presenting our expectations and fears concerning the current project. 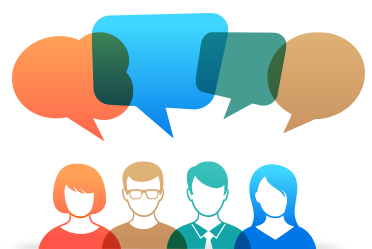 We also have decided and commonly agreed about the rules of the training and decided that if someone will be late, that person will have to endure a punishment. We have also analyzed the schedule -a very busy but full of interesting and useful activities program. The next activity was a very interactive one because we had to create some presentations about quality in youth projects. We worked in teams and improvised theater scenes, school classes and spoke about our visions concerning what is quality in youth projects and of what does it depend. The next activity which took place after lunchtime had the purpose to inform the participants more about what means Erasmus+ and what is an YouthPass. For this, the trainers used different types of means to present the information, like: videos, painting an Erasmus+ participant/beneficiary and his personal characteristics developed while involving in different programs of EU. In order to understand what is YouthPass, we have compared together with the trainer the YouthPass with a normal diploma. At the end of the day we, the participants, had to develop a headline in order to present our feedback for the 1st day of the project. „It seems to be promising”- is one of the headlines used by a participant for describing his ideas about the project. The last activity and the BEST MOMENT OF THE DAY was discovering the participants’ personalities through pictures. Every participant sent different creative pictures which would describe it’s character and we had to guess who was that. It was the best moment of the day because it was full of positive energy, inspirational ideas and loooots of smiles and laughs. This activity has showed that in just one day we have succeeded to discover people and characters! „Yesterday is history, tomorrow is mistery, TODAY is a GIFT and that’s why we call it present” can be the BEST describing phrase of the day! Disclaimer. 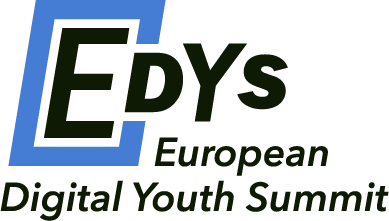 This article was prepared by the participants of EQYP project, co-funded by the Erasmus + Programme of the European Union. However, this document reflects only the views of the authors.